NEW YORK, New York, March 28, 2018 (ENS) – Saudi Arabia wants to pour US$200 billion into solar to build the world’s largest solar project. The Saudi sovereign wealth fund and SoftBank Group Corp. of Japan jointly announced plans to build a solar project that is staggering in size – 200 gigawatts (GW) by 2030. That would be about 100 times larger than some of the largest projects in the world right now. “It’s by far the biggest solar project ever,” Masayoshi Son, CEO of SoftBank said at a news conference Tuesday in New York after signing a nonbinding agreement with Saudi Crown Prince Mohammed bin Salman (MbS). 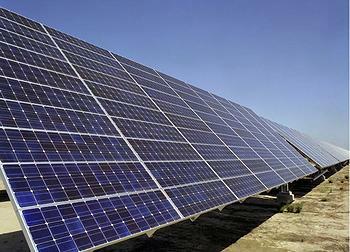 The logic of massive and aggressive development of solar in Saudi Arabia is obvious. Sunshine is not a scarce resource. The country burns oil for about a third of its electricity, a costly way of generating power both environmentally and in terms of lost oil exports. 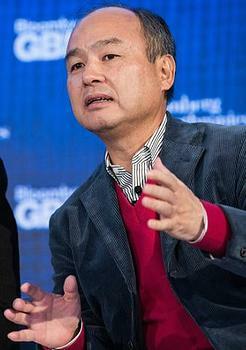 Son of SoftBank said the 200 GW of solar would cut electricity costs by $40 billion while creating some 100,000 jobs. 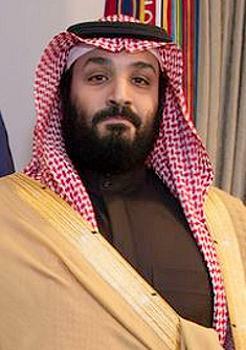 “This kind of a project would never have been feasible without the big vision we shared with the crown prince,” Son told reporters. The scale of the construction would alone help develop a domestic solar manufacturing industry in Saudi Arabia, Son said. The project will eventually integrate energy storage, although not right away. The project would be a cornerstone of MbS’ long-term economic strategy, with clear spin off benefits in terms of economic diversification, employment, and a strategy for a post-oil economy. The project is ambitious, to say the least, but raises a lot of questions. First, where will the money come from? The “Wall Street Journal” reports that much of the project will be debt-financed. SoftBank and the Saudi sovereign wealth fund announced a $100 billion technology fund in 2017, the Saudi-SoftBank Vision Fund. The Vision Fund will reportedly provide the first $1 billion. Beyond that, the financing mechanism was left vague. SoftBank’s chief said electricity sales would generate the revenue needed for further expansion. One possibility would be using the proceeds from the Saudi Aramco IPO, which Saudi officials have repeatedly boasted would raise around $100 billion, although independent analysts question that figure. Moreover, the potential of the IPO would be constrained if Aramco opted for a domestic-only listing rather than a public offering in London, New York or Hong Kong. Yet another uncertainty is what Saudi Arabia wants to do with 200 GW of power when its total electricity capacity only amounted to 77 GW in 2016, according to Bloomberg New Energy Finance. The size of the project is extraordinary – about triple the size of the total capacity that is either online, under construction, or being developed in all of the United States right now. The solar announcement also begs the question of what Saudi Arabia plans on doing with its plans to spend $80 billion to build around 16 nuclear reactors over the next 25 years? It seems unlikely that all of these investments will go forward. It should be noted that the solar agreement between the Saudi sovereign wealth fund and Japan’s SoftBank is a nonbinding agreement with little to guarantee that it moves forward.